How can design, art and technology explore challenges to mental health? Placebo Funeral — Celine Park, part of Royal College of Art Design Interactions. photo: Pete Woodhead. 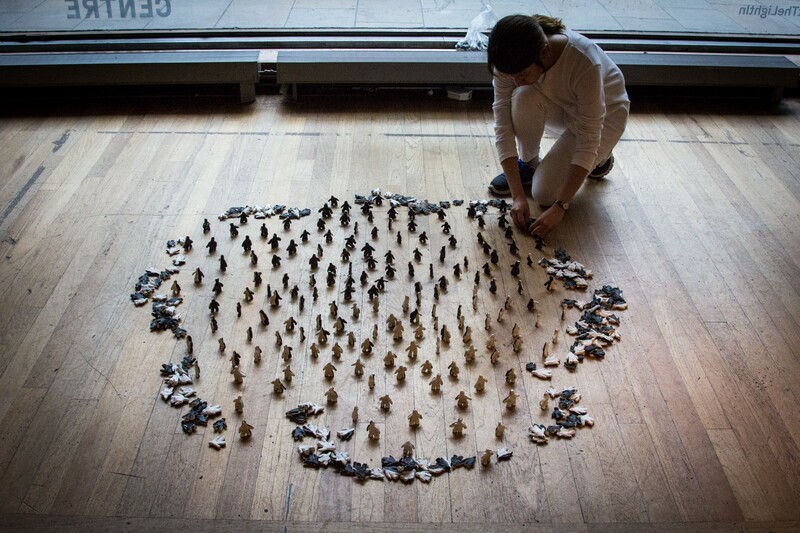 Students from Royal College of Arts Design Interactions have been developing new work at Southbank Centre. 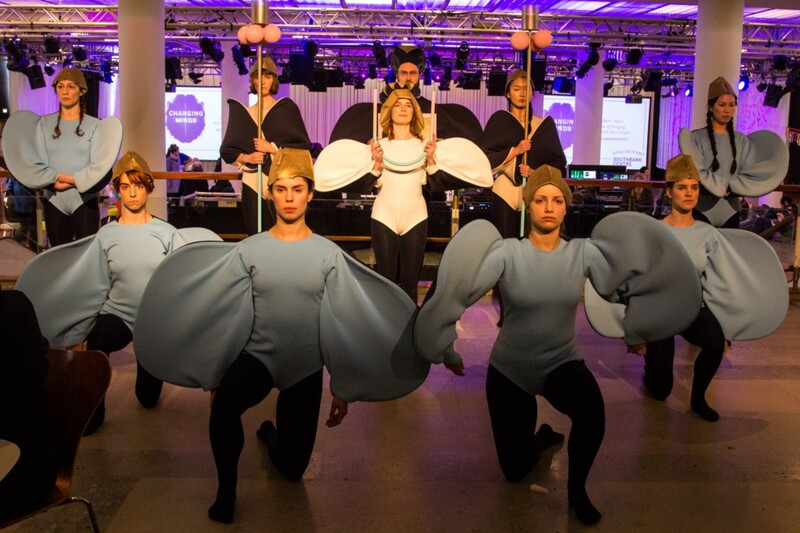 Design Tonic was presented at Changing Minds, a festival exploring mental health. 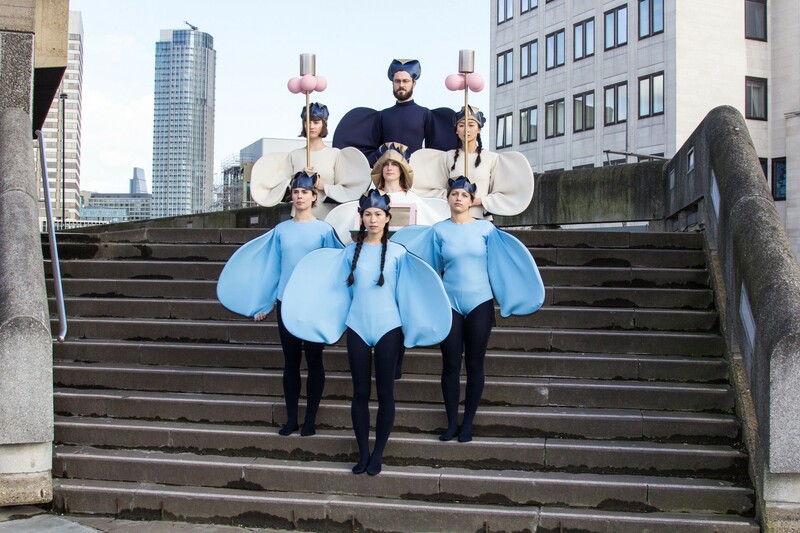 In the last months of 2015, students from Royal College of Art Design Interactions were invited to develop new projects for Southbank Centre’s Changing Minds festival, through an intensive three-week collaborative workshop. The students were asked to consider how design could contribute to shaping individual and community mental health now or in future and the complex role of technology as both a ‘cause’ and a ‘cure’ in today’s mental health landscape. In Design Interactions we explore detailed encounters between people and technology often preferring questions to solutions — the open, experimental and receptive atmosphere at the Southbank provided an amazing space to think about these issues alongside experienced artists, designers, mental health professionals and service users. 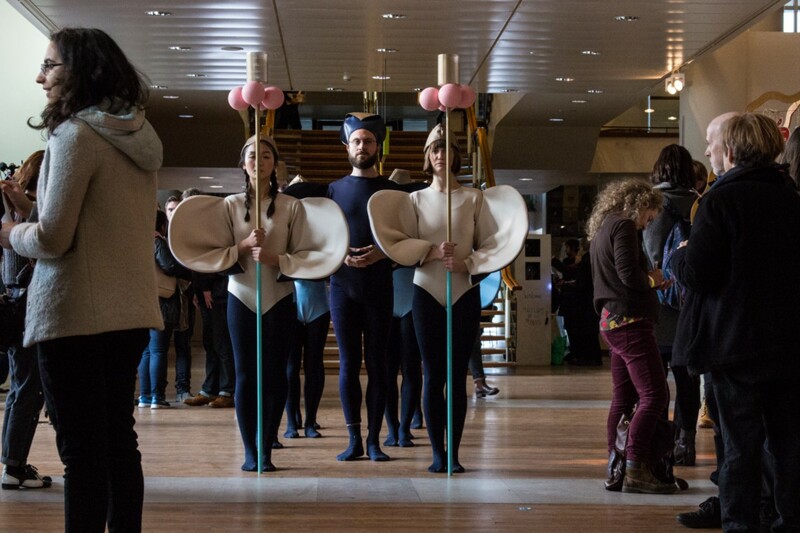 The resulting projects were presented at Southbank Centre as Design Tonic, comprising films, workshops, virtual reality, interactive (and deliberately non-interactive) ‘games’, a video tour and a performance. The work was diverse but unified by wit, invention and respect for those with lived experience of mental challenge. Changing Minds, Southbank Centre. Saturday 6 — Sunday 7 February. The following is an overview of the programme, in the words of each of the designers. Room for Alternative. Open Workshop & Exhibition — Ted Hunt & Peter Hudson. 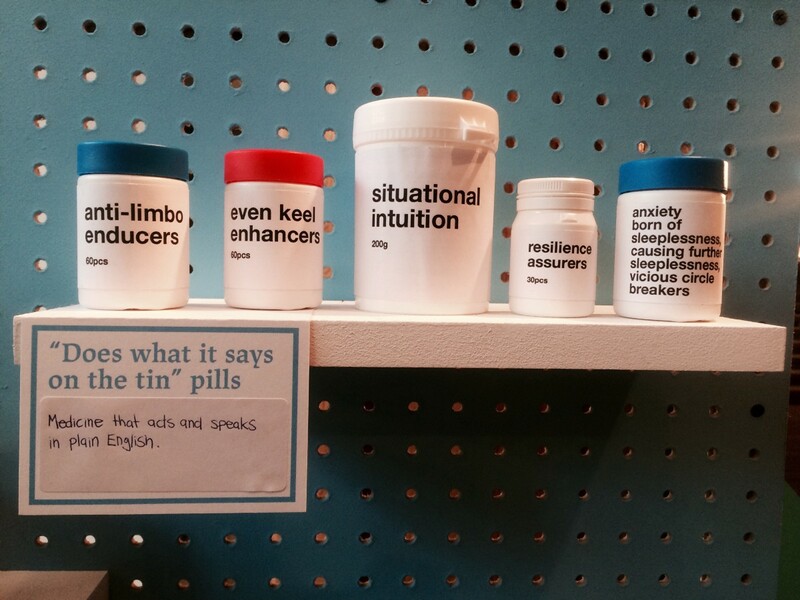 A two-day drop-in ‘thinking through making’ workshop and exhibition that actively explores ways of assisting with personal neuroatypical day to day experiences, rather than simply setting out to solve or cure typecasts of mental health issues. Room for Alternative openly enacts the MA Design Interactions philosophy of designing for the complex, troubled people we are, rather than the easily satisfied consumers we are supposed to be. The Boundary — Hiroki Yokoyama. What is the boundary between people perceived as ‘normal’ and those with mental health issues? What criteria do we all use to decide whether people have a ‘condition’ or not? The aim of this deceptively simple film is to encourage viewers to think about this boundary and how we see those around us day to day. Placebo Funeral (Scratch Performance) — Celine Park. This project developed directly from my own personal experience of depression and an overwhelming feeling that I wanted to ‘re-start’ my life which, in my case, was facilitated by moving to another country. Partly inspired by attending a Korean ‘anti-suicide class’ I wanted to design my own ‘placebo’ funeral ceremony to celebrate leaving behind depression and the sense of rebirth of a new phase of my life. This is a very personal project and a work in progress. In collaboration with a group of dancers, I have been developing a scratch performance which I hope will prompt debate around what a Placebo Funeral might offer for others. The Vicious Circle — Kim-Leigh Pontin. Highlighting the symptoms and realities of insomnia and resulting anxiety and memory loss, The Vicious Circle is an immersive 360° experience that explores VR as a narrative format for empathy, allowing the participant to experience an altered state. The aim of this siite-specific work is for the participant to see an alternative view of the reality they are physically standing in, and experience the surrealist psychological state of an ‘other’ with prolonged insomnia, anxiety and memory loss. A 100-Mile Conversation — Nathan Burr & Louis Buckley. In spring 2013 artists Nathan Burr and Louis Buckley walked the length of the South Downs Way, starting in Winchester and ending at Beachy Head. Along the way they walked and talked with everyone from farmers and psychologists to therapists and archaeologists to explore the connections between suicide, mental health, myth and landscape. The film documents the chain of conversations that took place over the nine–day journey. A conversation with the artists follows. Your Beautiful Self — Naama Schendar. Your Beautiful Self — Naama Schendar. Your Beautiful Self is a film and performative work based on intimate encounters with nine participants— an international group consisting of trauma survivors, and researchers and scientists in the field of trauma. All are embodied by the artist, who lip–syncs to their recorded testimonies. Subtle Alteration — Martha McGuinn. Subtle Alteration is a project that explores the link between mind and body. How much does the state of the body affect the state of the mind? If we can think of the body as being the physical expression of the mind, what happens when that mode of expression is inhibited? The film Subtle Alteration is based on a test day in London when I bound my right arm to my side for eight hours and set off into the city. After VirginiaWoolf, I aimed to buy a pencil. However, sound is a reflection on the day. It is a document of how this physical restraint affected my mental state briefly. The image is based on both my experiences and those of my mother who spent much of her life physically restrained by Multiple Sclerosis. Solitude — Jinhee Park. This work tries to express the isolation that some people suffering from mental health problems can feel despite the fact that in reality one in four of us will experience mental health difficulties over time, and that speaking openly to friends of family can really help. Each figure within the sculpture has two ‘sides’, except the central character –but seen from their perspective everyone around them appears to be different, one side of their character being hidden from view. Witness? — Christopher Lutterodt-Quarcoo. Witness? shows the human body as an archive of ancestral thoughts and memories. Freud referred to this condition as ‘Archaic Remnants’, mental forms whose presence cannot be explained by anything in the individual’s own life and which seem to be innate, inherited shapes of the mind. The film imagines a scenario where technology allows for a ‘genetic forgetfulness’ or wiping away of traumatic experiences, accumulated through an individual’s genetic lineage. The project questions whether it is an individual’s duty to continue bearing witness to their ancestral memories and to endure the consequences of generational trauma. MindPalace 2 — Calum Bowden. MindPalace 2 is an experiment that explores ways of using 3D environments to encounter different perspectives surrounding mental health. Sound clips from online video diaries (‘vlogs’) recounting experiences of mental health issues are spatialised into a virtual 3D ‘set’ — like a video game but sketched from the memories and experiences described in the vlogs. These personal narratives are broken up through the space and can be remixed by the layer. The vlogs reveal how negotiating what we feel,what we think we feel, what we think we’re supposed to feel, and what we’d like to feel, is never that simple. Virtual Pet — Jelena Viskovic. I began with the idea of a virtual pet as an image of an embodied but technologically ambiguous virtual entity. With this ‘pet’ being a metaphor for our relationship with technologies we don’t necessarily understand. Over time the pet faded from the narrative-driven game I developed and it became more about exploring the complexity of relationships between virtual objects and physical bodies. As the user of this ‘game’ you now experience the space as if you are a virtual camera in free fall. With thanks to: Nina Pope, Naama Schendar, Nathan Burr, Charlotte Jarvis, Marcus Coates, Mark Brown from Social Spider, Michael Smythe from Nomad, the Southbank Centre team (Georgia Ward, Katie Roberts, Alex Williams, Molly Sanders, Pete Woodhead) and Design Interactions 2016. Head of Digital Arts Programming at Southbank Centre.